I love to eat and to bake and there’s no better feeling than eating that piece of baking that you’ve nailed it. Which I had with this mango/lemon cakeroll! 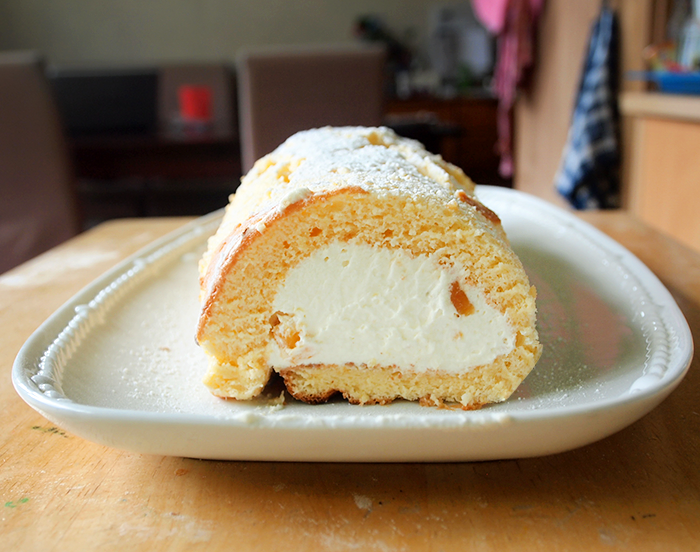 I have to admit, I was quite anxious at the beginning, because my first attempt of baking a cakeroll was a failure. And I end up being real pissed at myself. But life isn’t always a piece of cake, so I crumbled, pull myself up and learned from the flaws I made with the 1st attempt. And the 2nd attempt was so much better, not perfect but I was happy enough! 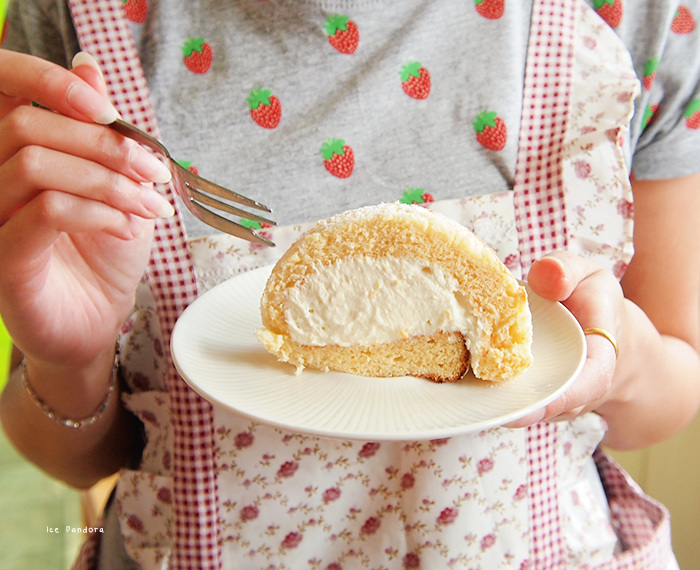 And most importantly it tasted delicious – with the super fluffy cake with a creamy fruityness. I hope you try it out as well! It’s a mango/lemon flavoured one but you can use any flavours you want. Again, I hope you try it out as well! Alweer een bak recept want ik hou van goed eten en wat altijd nog beter smaakt wanneer het je eigen baksel is die gelukt is! En dat had ik met deze mango/citroen cakerol! Ik moet toegeven, ik vond het eng in het begin, want mijn eerste poging van het bakken van een cakeroll was een totale mislukking. 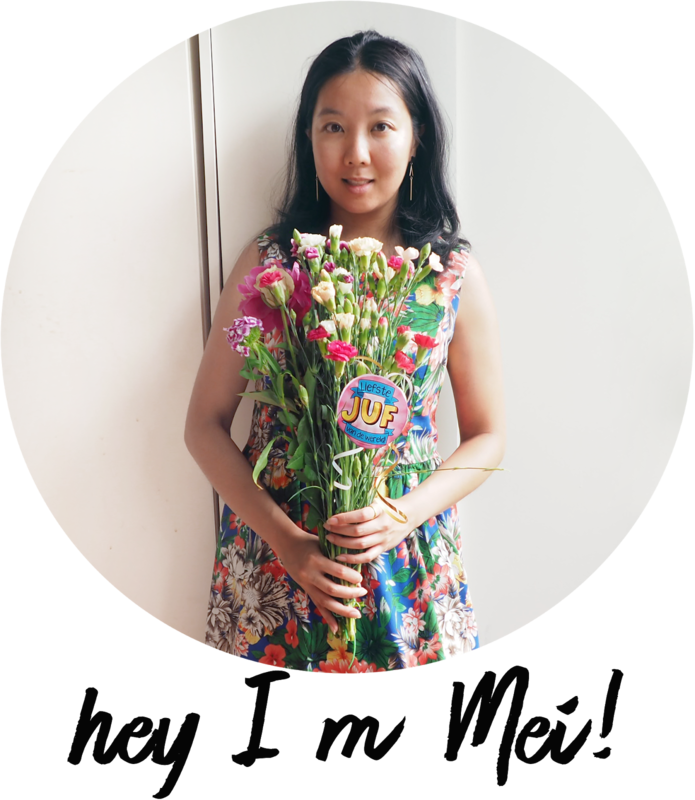 En eindigde super boos met meelij met mezelf. Maar zo zie je maar weer dat bakken niet altijd kinderspel is en dat je net als bij alle fouten deze moet leren. En dat deed ik dus. En de 2de poging was zo veel beter, niet perfect, maar ik was blij! 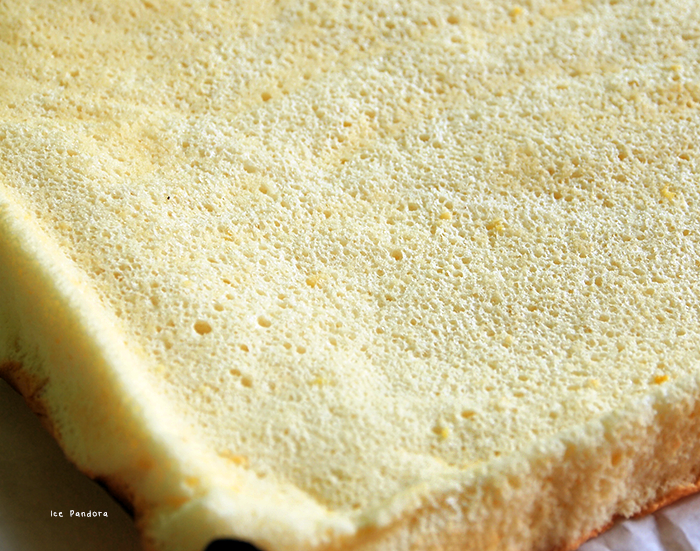 En het allerbelangrijkste: het smaakte heerlijk – lekker luchtig cake met romig fruitig zuurtje! Ik hoop dat je het uitprobeer! Het is een mango/citroensmaak, maar je kunt natuurlijk andere smaken gebruiken. Nogmaals, ik hoop dat je het uitprobeer! Look how fluffy, I had to restrain myself not to eat this all up! Not gonna lie this rolling part is scary! - Pre-heat oven 190°C and line squary baking tin with baking paper. - Break eggs and split - egg whites in a clean metal greasefree bowl please! Whisk the yolks with half of the sugar in a bowl until creamy and than add in the zest and vanilla essence! Add the flour and with a metal spoon, fold into the egg mixture. Now the bowl with the eggwhites we make a meringue: handmix on high speed and add the rest of the sugar bits by bits until it high peaks are forming. 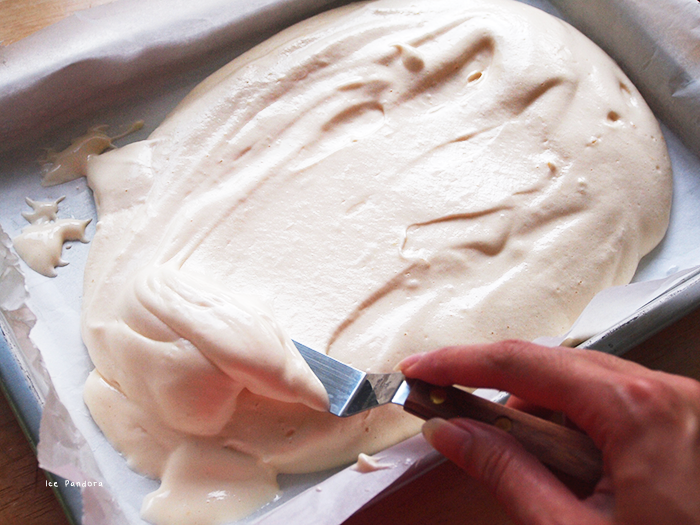 Congratulations, you're meringue is done! Than add 1/3 or so of the meringue into the egg batter and fold in. Add the rest and combine well! Pour the batter in the prepared baking tin and bake for 15 min. in the oven. (I turned the tin every 7.5 min for a more equal baking). Once baked, take out of the oven and let it cool completely. Line a piece of baking paper and sprinkle icing sugar on it. Then drop the cake (facing top) on this sugared paper. Don't forget to remove the baking paper of the cake! 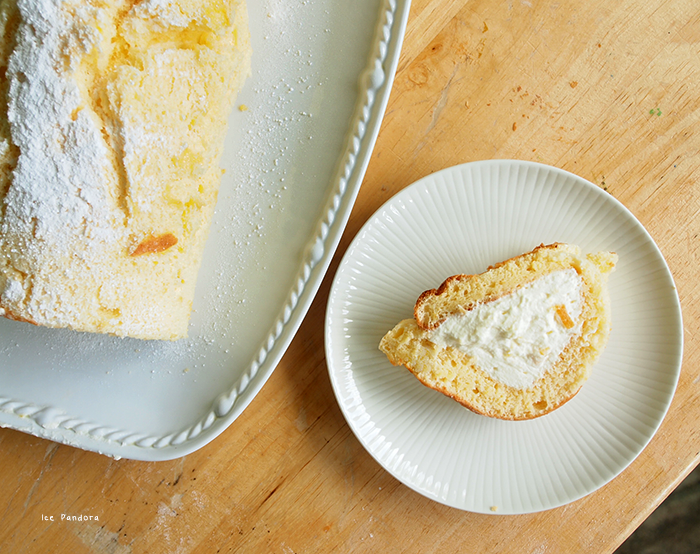 Coat the cake with the filling and roll it up along the long side - serve! 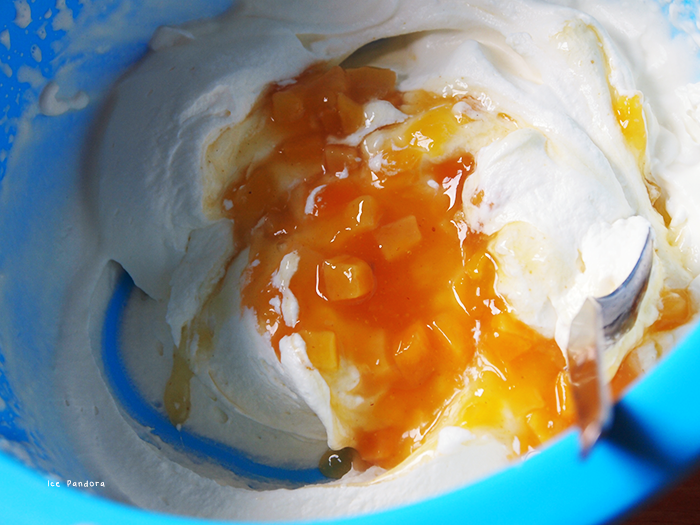 Beat cream until firm and than combine the mango chutney + lemon juice. This looks so damn freaking yummy! 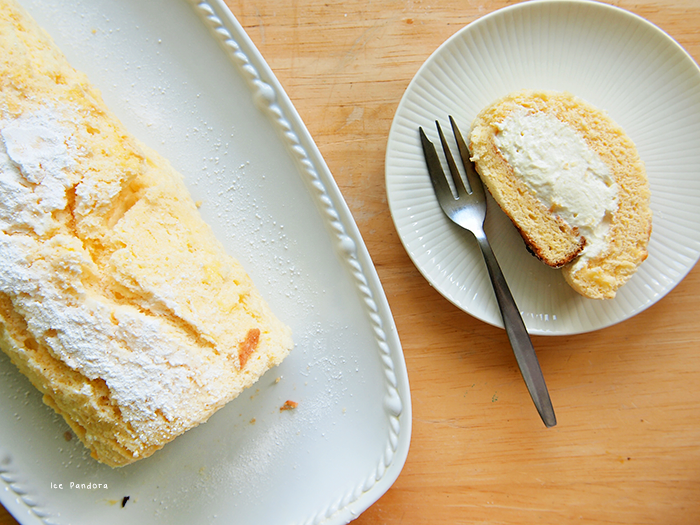 I've got some pretty awesome baking friends and they make delicious home made swiss roll type cakes that look so simple but aren't exactly the easiest piece of cake! (don't mind the pun) I love mango and would have happily helped you eat it! This looks so good, I want to try! OMG! Wat ziet er dit super lekker uit! it looks sooo fluffy and yummy!! Wow this is looking delicious ! This looks so delicious!! O.O I am a mango fanatic! Thank you for the recipe! Oh my, jouw recepten zien er altijd echt heerlijk uit! Mango/lemon? That sounds & looks SO good. you're amazing!! 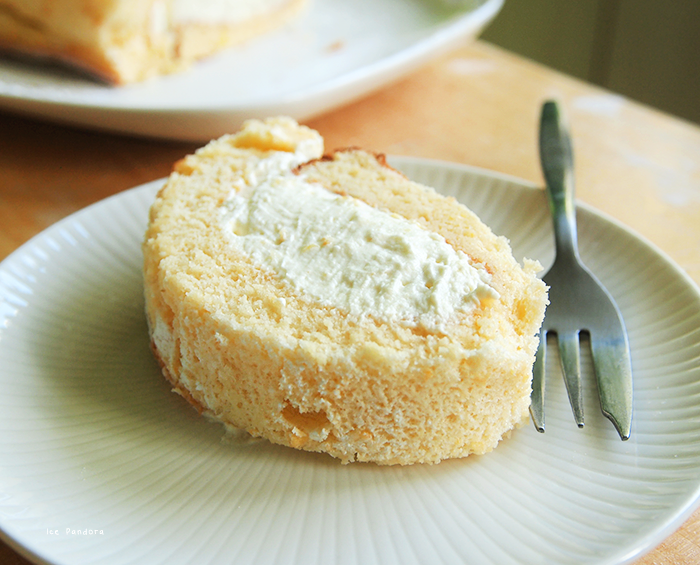 i love cake rolls ugh >w< they're awesome classic cake and definitely a good company for the tea! 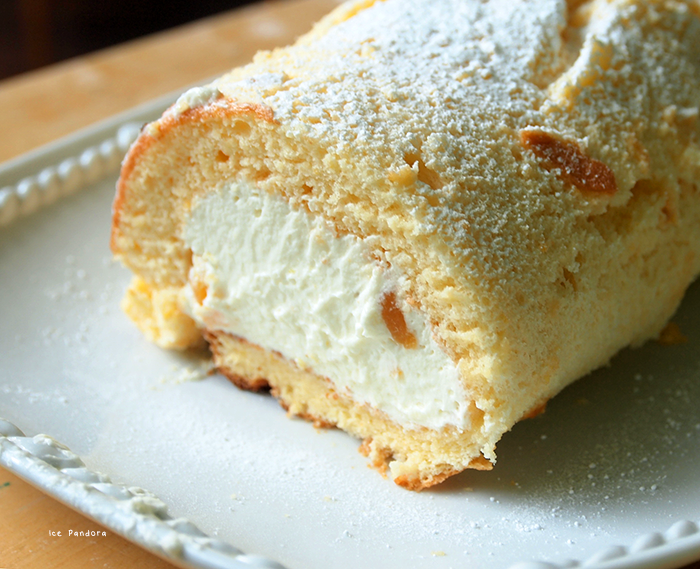 yes, "life isn't a piece of cake" and you've proven that literally by baking this cake roll the second time because life is about PIECES OF CAKES, not just A PIECE! LOL get it? xD my joke is so horrifying HAHA. Wow, that looks so yummy! Would love to try this out! you do make the yummiest creations with your oven! Looks delicious! I really want to try some. While at college, I haven't had any cake and now you've got me craving some.